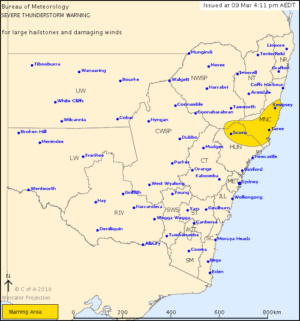 A severe thunderstorm warning has been issued for parts of the Hunter and Mid North Coast, with storms likely to produce large hailstones and damaging winds. 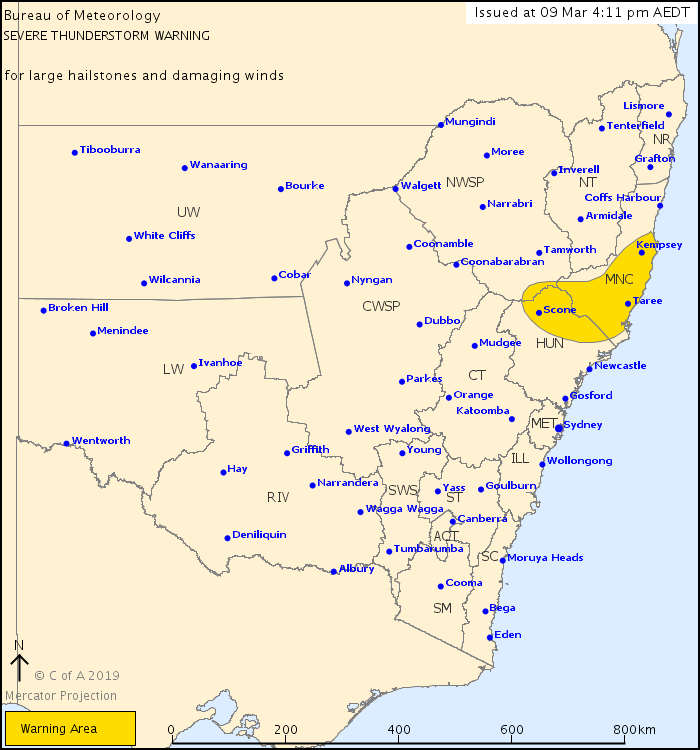 Locations likely to be affected include Port Macquarie, Taree, Kempsey, Dungog and Murrurundi. Got a photos or video of the storms? Send them to our Facebook page.